« I wanted to create an instrument that, by the character of it’s voice, was similar to string instruments, but with a great deal more force and intensity. 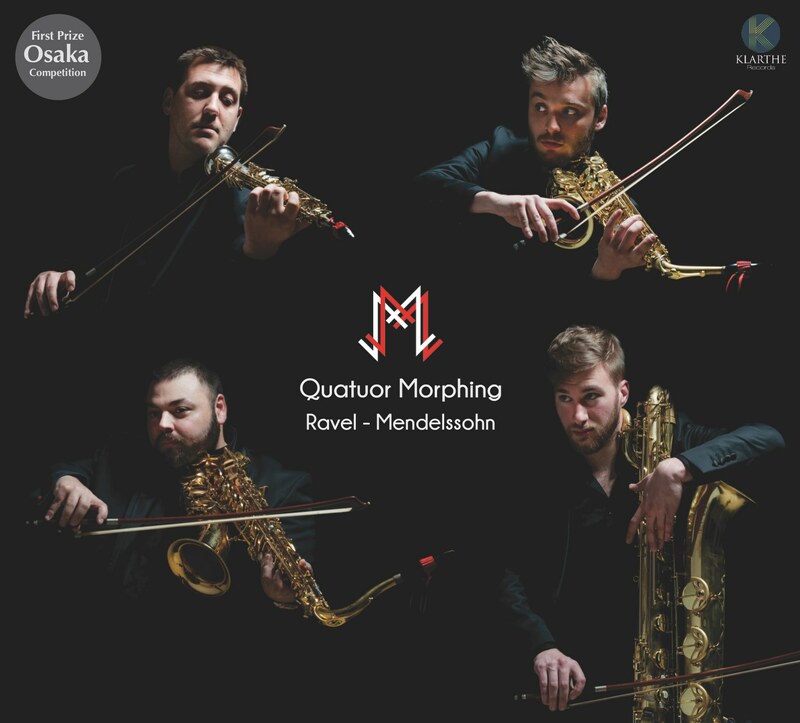 » The essence of this first recording by Quatuor Morphing, transcriptions of works for string quartet, is contained in this short text proposed by Adolphe Sax in the patent documents for the saxophone. It is the polymorphic aspect of the instrument’s timbre, between that of the strings, woodwinds and the brass, which makes possible infinite expressivities and aesthetics, and which makes possible and legitimate a whole world of transcriptions. 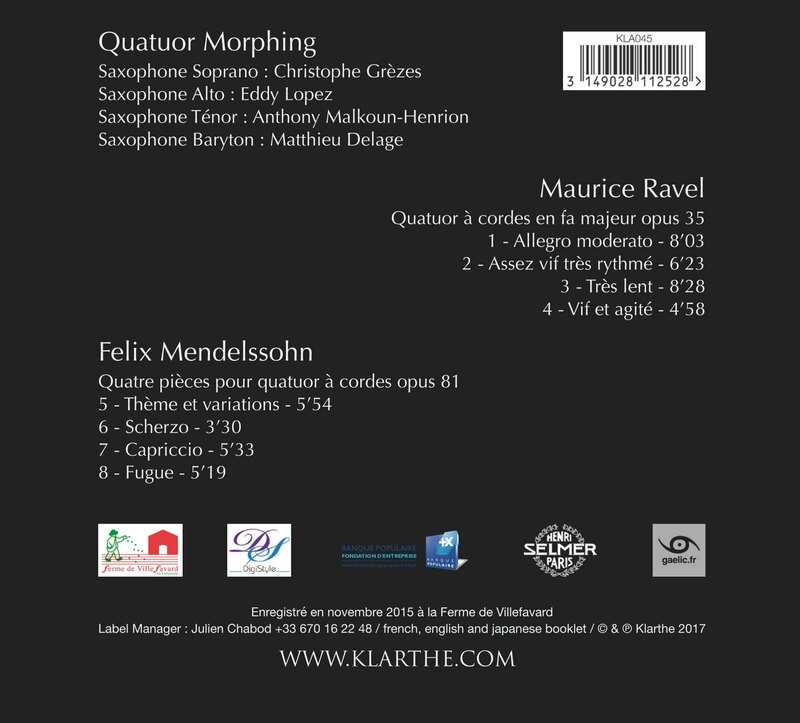 From the Paris Conservatoire where the group gained a wealth of experience in numerous international competitions and concerts, the Quatuor Morphing has progressively constructed an artistic identity around the idea of transcription as an opportunity for a saxophonistic challenge. This recording shows the group meeting this challenge with aplomb.